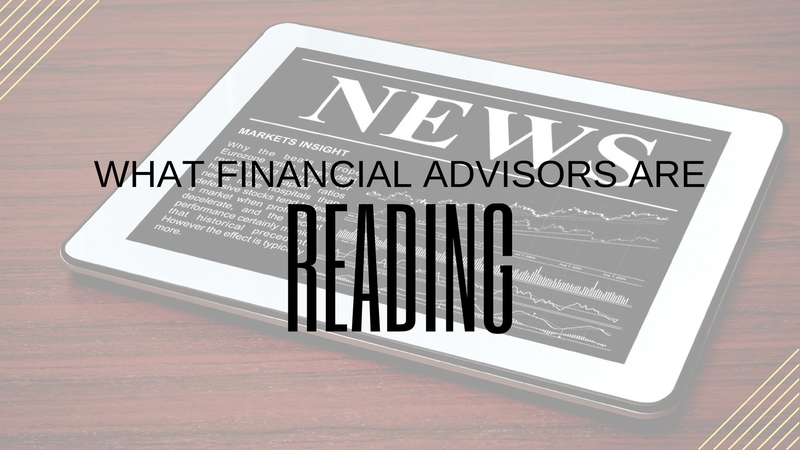 Here are the stories that financial advisors are reading this week. What are you reading? Cash balance plans are on the rise, according to a 2018 National Cash Balance Research Report from Kravitz, Inc. As cash balance plans have risen, so have plan sponsor contributions. New cash balance plans have increased by 15%, and employer contributions have risen even more—by 30% —as legislation favoring such plans has helped them along. The financial services industry has not served women particularly well, often making female clients feel undervalued which in turn has affected the trust women have in their advisors. The financial services industry has tried to resolve these issues, but the bottomline is that women seeking financial advice must not be categorized as a segment or a niche. Many physicians and medical practitioners are looking at their savings and questioning whether they are prepared financially for retirement. Cash balance plans are becoming an increasingly appealing retirement savings option for health care professionals and other business owners seeking to catch up on retirement savings or even accelerate their retirement timeline. More people are turning to online services and creating wills themselves, a simpler and cheaper option than hiring expensive attorneys. Financial advisors can aid clients by being familiar with tax relief options that might be available to affected clients. Here are things to look for.